Gm Art&Music’s new year proceeds with the important signing of young conductor Lorenzo Passerini. Born in Morbegno in 1991, M° Passerini graduated with honours in trombone at Como Conservatory in 2009 and as a trombonist he has toured worldwide under the baton of famous conductors such as John Axelrod, Andrey Boreyko, Fabio Luisi and Riccardo Muti. At the same time, he began studies in conducting in 2010 with Ennio Nicotra and he began his conducting career in December 2011. He has conducted Milan’s Giuseppe Verdi Symphonic Orchestra, Orchestra Fondazione Arena of Verona, Regional Tuscanian Orchestra, Romanian National Opera Orchestra, Symphonic Orchestra of Grosseto, Symphonic Orchestra of Sanremo, Orchestra CamerataVienna, Mexico State Orchestra, Milano Chamber Orchestra, Orchestra di Padova e del Veneto, Bari Metropolitan Symphonic Orchestra and DITTO Orchestra. Since 2011 he has been the artistic and musical director of Orchestra Antonio Vivaldi. 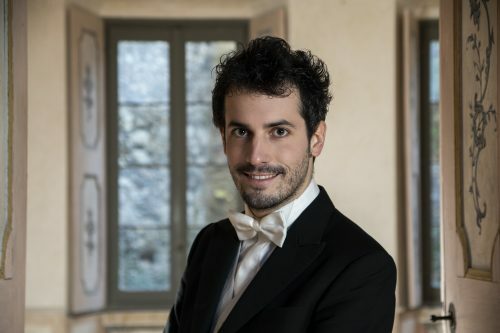 Since 2017 he has been musical director of Associazione culturale “Amici della musica di Sondalo”, for whom he programmes the symphonic seasons at Teatro Sociale in Sondrio.